For centuries the legend of the Lost Spanish Mine has lured fortune hunters into the Texas Hill Country. That legend began on a hill south of Llano. In 1753 Spanish soldiers exploring the Llano River heard stories from Apaches of a hill of red ochre (cerro del almagre). Veins of silver were said to run through that hill so thick it hung in stalactites from the roofs of caves. When the Apaches acquired guns, they used the silver to mold bullets. In 1756 Bernardo de Miranda, a Spanish official, found the hill in what is now the Riley Mountains of Llano County. The site is a half mile north of Honey Creek and 13 miles west of the place where the creek merges with the Llano River. Workers opened a shaft in the hill and Miranda carried ore samples from the Los Almagres Mine back to Mexico. The samples were not promising, but the legend of the Lost Spanish Mine was born. In 1758 soldiers transported ore from Miranda's mine to the fort near present day Menard where workers built a crude smelter. After soldiers abandoned the fort, the smelter and the slag heap next to it led visitors to conclude incorrectly that the Los Almagres Mine was on the San Saba River. Stephen F. Austin heard stories of the Los Almagres Mine. Using the lure of treasure as a tool to recruit settlers, Austin included the mine on his 1829 Texas map, but he put it in the wrong place. 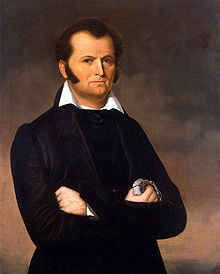 Following Austin's map, James Bowie searched for the Los Almagres Mine on the San Saba, but the mine was really 70 miles away on Honey Creek. Austin and Bowie muddled the facts but grew the legend. Meanwhile the real location of the Los Almagres Mine got lost in the shuffle. From time to time the lost mine mysteriously revealed itself but only to travelers who weren't looking for it. Men claimed to have stumbled upon the lost mine, but after leaving it could never find it again. The mystery of it all only caused men to want it more. In the 1870s a group of investors, excited by veins of silver in a hill south of Llano, began work in an area that looked like it had been mined before. They called their shaft the Sam Houston Mine. Twelve men worked in shifts around the clock, but a big strike in Chihuahua, Mexico spelled trouble for the Sam Houston Mine. Miners would work awhile then "buy out their time at a discount," before heading for Chihuahua where the real fortune lay. Of course mining on a commercial scale is expensive. A mine needs money to stay in business. In an effort to raise operating funds the owners of the Sam Houston Mine planted stories in area newspapers giving glowing reports of the mine and guaranteeing handsome profits for investors. There were a lot of fancy words thrown about, but most of the language was incoherent mining talk designed to impress prospective investors who knew just enough mining jargon to be vulnerable. But in the end the Sam Houston Mine was only good for bamboozling shareholders. Fortunes and lives were wasted. The mine was shut down and forgotten. Then in 1902 a man named Bolton obtained a copy of Bernardo de Miranda's report from a Mexican archive. The report led Bolton to what was called the Boyd Shaft near Honey Creek about 12 miles south of Llano. Bolton was certain he had found the Lost Spanish Mine. Investors formed the Los Almagres Mining Company, but the mine proved unproductive and was forgotten again. The hard granite hills of Llano County have changed little since Bernardo de Miranda first saw them 300 years ago. It is fine country for a livestock range but not so much for mining. Apparently there is just enough silver to tickle the imagination, but not enough to be profitable. The hill of red ochre that started it all is about five miles east of Oxford Cemetery. 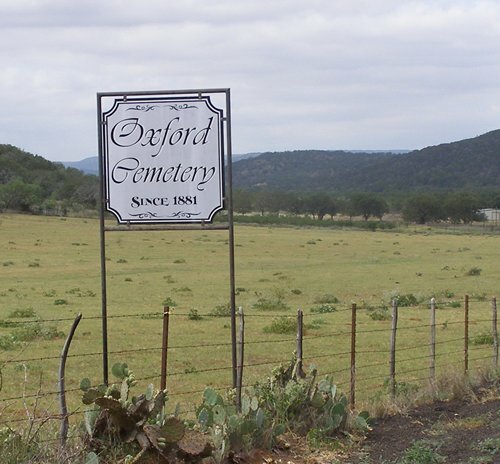 The cemetery is on Highway 16 between Fredericksburg and Llano. The Handbook of Texas, Los Almagres Mine. Galveston Daily News, "The Gold Hunters," August 18, 1879, p4, c5. J. Frank Dobie, Coronado's Children (Austin: The University of Texas Press, 1930), 3-52. Skip Hollandsworth, "X Marks the Spot," Texas Monthly Magazine, June 2009. The Austin Daily Texan, "The Lost Silver Mine," February 6, 1956, p2.